The World Heritage-listed Blue Mountains offer many exhilarating adventures and experiences, from walking trails and abseiling to golf and gardens. 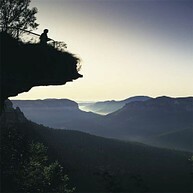 Deeply connected to Aboriginal culture, the Blue Mountains also offer wonderful insights into The Dreaming and indigenous heritage. Enjoy tours with Aboriginal guides on walking trails through the spectacular wilderness and see traditional dance and music. Bygone Beautys is home to one of the world's largest private collection of teapots, spanning five centuries. 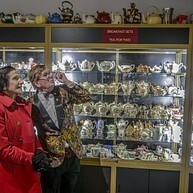 More than 5,500 teapots are in the collection: Royal Doulton, Torquay Ware, Wedgwood, Bunnykins and Toby characters to name a few. From the elegant to the ostentatious, this is a unique antique emporium. which also features a tearoom where you can indulge in a Devonshire tea or traditional high tea. Travel back in time and learn about The Dreaming. This multi award-winning Aboriginal walkabout adventure will enrich you with its ancient wisdom. Aboriginal owned and guided, you will follow an original walkabout song line of sacred sites through a beautiful and secluded rainforest gully. 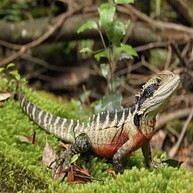 Walk gently and listen carefully to what the natural bush, fascinating art and ceremonial sites have to tell. An inspiring and powerful experience of ancient knowledge for modern day wisdom. 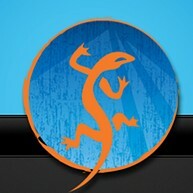 The Blue Mountains Adventure Company is an abseiling, rock-climbing, canyoning, and bushwalking specialist. Take on an action-packed adventure, combining an abseiling course and canyon trip - wading, swimming and a thrilling abseil await you. Operating for more than 30 years, the company offers courses for all levels of experience, from novice to advance thrill-seekers. Built on the highest point in Katoomba, the Blue Mountains Cultural Centre offers panoramic views of the Greater Blue Mountains World Heritage Area. The centre showcases innovative and diverse cultural programs for enjoyment of visitors to the Blue Mountains, featuring the Blue Mountains City Art Gallery, the World Heritage Interpretive Centre and a library. This 5.4 km walk offers gorgeous views of the Jamison Valley and surrounding cliffs. Magnificent waterfalls inspire you at the beginning of your walk and reward you again at the end. The track crosses the mid-point of Wentworth Falls and follows a ledge halfway down the 185-metre high cliffs, leading you to the aptly named Giant Staircase with its 1,000 steps (requires reasonable fitness levels). Learn how to navigate by the sun, moon and stars, make your own compass and sundial, preserve meat and prepare plant foods and medicine. An overnight two-day camping course with High n Wild Australian Adventures is for people who want to survive when exploring wilderness regions. By the end of the course you will know several ways to light a fire without matches, how to find water and purify it by natural means, and build survival shelters to keep you warm, dry and safe. A treasure from the 1930s, the elegant and tranquil gardens are acclaimed by garden lovers worldwide and draw inspiration from the great traditions of European landscape design. 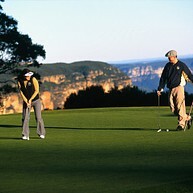 You’ll also enjoy breathtaking views of the Blue Mountains. The art deco Everglades House features a gallery, gift shop and tea rooms. The tea rooms in the house and courtyard are open seven days a week. Govetts Leap Lookout is a popular spot to stop and view the spectacular panorama before descending into the Grose Valley. Here you’ll find one of the region’s more physical walks where you can view the towering cliffs leading back up to Perry Lookdown and Evans Lookout. At the top of the escarpment is a picnic ground, toilets and access to cliff top walks, including the Fairfax Heritage Track which is suitable for wheelchairs and prams. Regarded as Australia’s most outstanding limestone caves, the Jenolan Caves are among the oldest cave systems in the world. 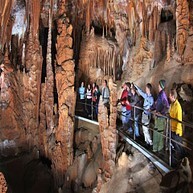 Some 340 million years old, the Jenolan Caves feature pure underground rivers and amazing limestone crystal formations. Whether you're a first timer or skilled adventurer, your experienced guide will take you to the depths of the Earth. For those seeking a thrill, an adventure caving tour will see you squeeze, crawl and climb through winding, ancient passageways, with only your head lamp to light your way. 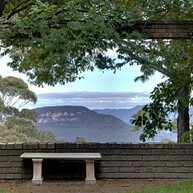 Leura Cascades is a popular picnic area set amid tall eucalypts. 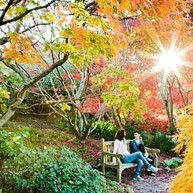 Take a walk beside the nearby rapids on Leura Falls Creek, down to Bridal Veil Falls and Leura Falls. Other longer walks take you along the cliff tops to Echo Point or down through the Leura Forest and via the Federal or Dardanelles Passes to Katoomba. 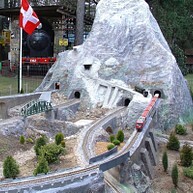 Discover a delightful collection of children's toys and trains at the Toy and Railway Museum. Families and serious collectors can explore pre- and post-war toys including dolls, teddy bears, lead figures, comics and books, tinplate trains, aeroplanes, automobiles, and working model-railway layouts. The museum also features NSW railway trackside and station memorabilia including lights, trolleys, seats, signals and signs. Lovers of beautiful gardens will be delighted with Mayfield Garden, one of the world’s largest privately owned cool-climate gardens. Over 64 hectares, it includes the Water Garden that features an obelisk pond and follies such as a blue-stone bridge and a copper tree fountain. 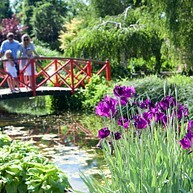 Inspired by the grandeur of English country garden estates, enjoy the tranquillity and browse in the nursery and shop. The Kitchen Café serves seasonal, freshly prepared food. Recognised as one of Australia’s most renowned artists and authors, Norman Lindsay made his home in the Blue Mountains and produced an array of drawings, etchings, woodcuts, watercolours and sculptures. As the author of The Magic Pudding, a children’s classic, he is regarded as one of Australia’s literary icons. His sandstone home is now a museum which displays his artistic work as well as his superb gardens. A cottage café serves modern Australian cuisine. At Scenic World you choose how you take in the spectacular sites of the Three Sisters, Katoomba Falls and Jamison Valley. 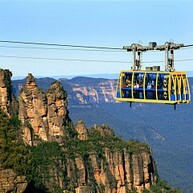 Impressive 360-degree views are the highlight of Scenic Skyway’s glass-bottomed carriage. Traveling 270 metres above ancient ravines, it’s Australia’s highest cable car. You can also ride on Scenic Railway, the world’s steepest passenger railway, and discover the thrill of a 52-degree incline. For a more gentle experience, descend into the valleys on Scenic Cableway to see nature at its most spectacular and then amble along the 2.4 km elevated Scenic Walkway through a towering Jurassic rainforest. Unlimited rides on all four experiences are included in the one ticket price.